how can i connect my N60 to PC? i have only cd sync tools (N60 series) then installed it. and pluged in the cable ... but still SD Ram indicator in the screen dos'nt change. thank your for your advice . .
i think it looksgreat but why doesnnt it have bluetooth as other customers said? i dont know what the phone is or does it looks like it flips but i dont know it doesnt tell about it. 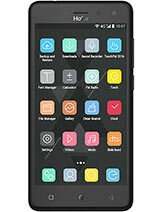 so how am i going to buy it and enjoy it if it doesnt come from at&t u can forget about me purchasin this phone. this is proper crap,the camera is the size of a pack of rolos and 1.3mp it looks like it should be about 5mp and a featureless handset,why do theses people churn this junk out are there really people who buy this rubbish? this phone looks great aesthetically wise. It even has touch screen huh. and to those who complains about no 3G, etc. dude, china dont even have 3G service yet, why would they produce 3G phones which will not sell. think about it. starts with copy....pretty much everything..
fake samsung,VW to Mercedes...now company called haier GREAT! this N series copy cat fone is not good !! it only has 1.3 megapix with no 3G,blutooth , infrared etc.. this fone is a total crap !!! where the heck should i find a batery with a card slot>>> !!!!plsss>. 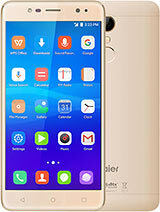 I found the haier mobiles wonderfull and great mobile. you can look at the new models of haier mobiles in the 2006 Catalogue. anyhow, new models like A600,M600,A60,M800 and others are very good looking with incredible features. 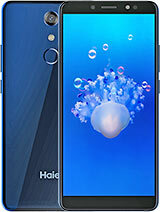 if you want to find them you can contact with haier on their website. 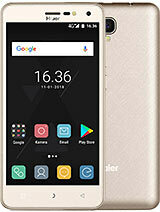 And haier fell asleep since they made this cool phone, where are new ones? there is an mp3 player on it can't you read ??? I don't know why they bother wasting their "PRECIOUS" time making mobiles without some sort of music player in them. I bet the camera is "FAR" worse than the 8800 as far as I'm concerned. If these chinese people are going to make fones, then they should make them worth using. When I had my frist fone, the 3210, I thought that Nokia was a japanese company, I couldn't believe that it was a Finnish company later in 2002! The phone has MP3 player, read the ringtone stuff. And it has linux, which it automatically means that is also has mp3 player. its got really impressive looks however any phone without mp3 is almost half useless.so think twice people. 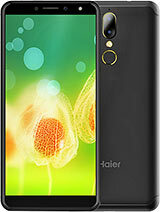 Total of 51 user reviews and opinions for Haier N60.